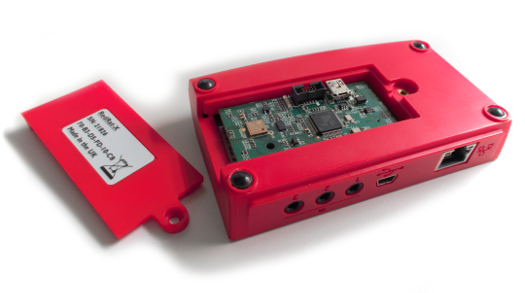 Optional add-on module - providing either Bluetooth or RF4CE functionality. Easy installation - just slot into the unit as shown in the adjacent image. Future-proof technology - with the right configuration, the module allows the RedRat-X to act as Bluetooth/RF4CE remote control. Please contact RedRat first to ensure that your TV/STB is supported. 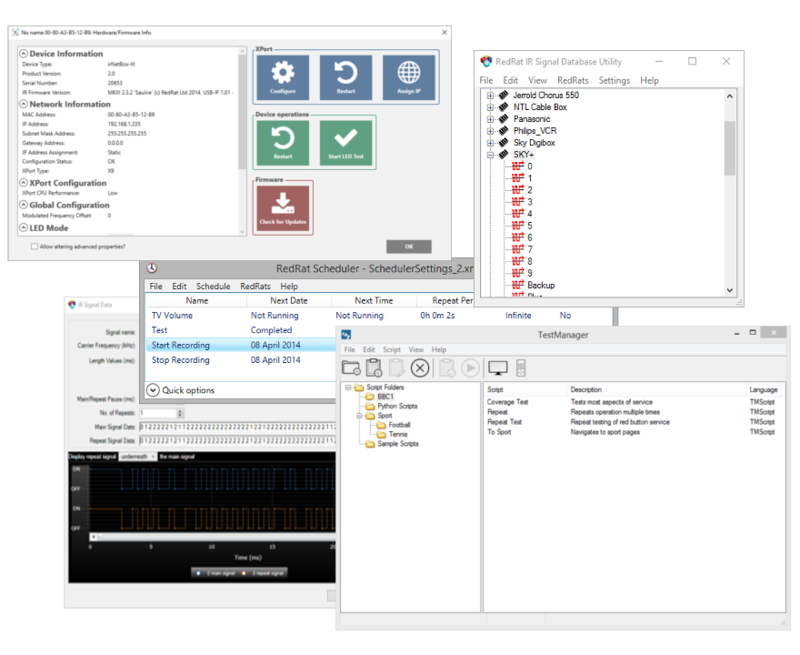 We provide a number of applications for device management, remote control data capture, automation and running test procedures. 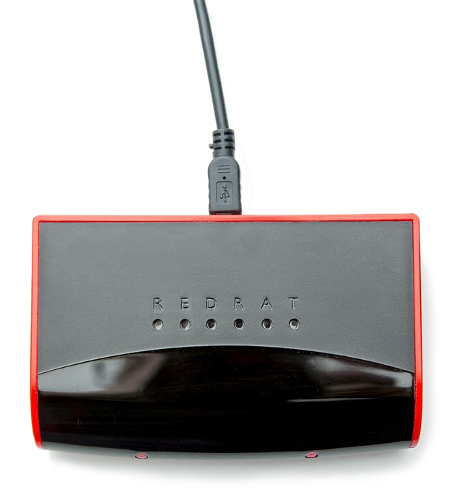 We have made it possible for the RedRat-X to work with your own software using our SDK or APIs. Powerful IR blaster via the front of the unit. 0mA to 250mA in 100 steps. Current mode (default): For use with plug-in IR flashers - 0mA to 100mA in 100 steps. Voltage mode: To interface to IR distributions systems, such as Xantech, Buffalo etc. Controllable via USB or Ethernet connection. Multicolour indicator LEDs provide operational feedback. Powered via USB connection. We can supply a power-supply if needed. Less that 2W power consumption in normal operation.